Our folk day this year, as has become traditional, will begin with a singaround in the morning starting at 10:30am. The pub will be serving breakfast and coffee from 10 O'clock. After a break to give people chance to get some lunch we will begin our first afternoon concert at 1:15pm (doors open from 1pm). The second afternoon concert will begin at 3:45pm (door open 3:30pm). Between the afternoon and evening concerts we have invited local musicians to join us for a traditional music session down in the bar from around 6 o'clock. The evening concert will begin at 8pm (doors open 7:30pm). If you plan on having lunch or dinner at the pub, we would highly recommend booking in advance, as they are likely to get very busy. The headline act for our main evening concert this year will be the wonderful Rosie Hood and Lucy Huzzard. 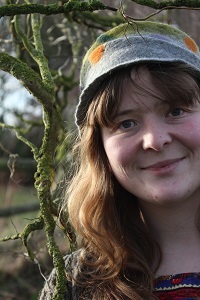 Rosie is a superb singer and songwriter, and has been taking the folk club and festival scene by storm for the past few years. Lucy’s powerful melodeon playing provides the perfect accompaniment for Rosie’s Songs. 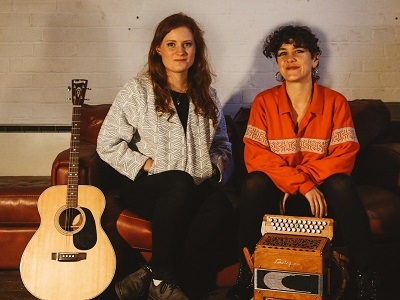 Rosie was nominated for the Horizon Award for best newcomer in the 2016 BBC Radio 2 Folk Awards, and was a BBC Performing Arts Fellow in 2015 working with the English Folk Dance and Song Society & Emily Portman. Lucy is probably best known for her incredible clog dancing with The Demon Barber’s Lock-In show. The support for our main evening concert will be provided by Megan Wisdom. Megan is a charming singer and musician from Suffolk. She won the long running Suffolk traditional song competition, and Percy Webb Memorial Cup in 2015 and was finalist in the national New Roots competition in 2017. Megan has performed numerous times at folk clubs and festivals, and we are delighted to be able to present her now at the Poppy Folk Day. The headline act for our second afternoon concert will be Tom Lewis. 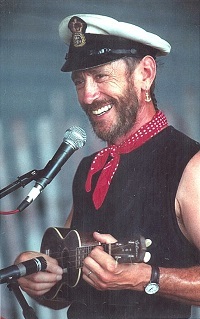 Tom is a former submariner with the Royal Navy and an amazing singer of shanties, folk and popular songs. Tom will be presenting us with his highly entertaining ’75 Years in 75 minutes’ show which will be a fitting grand finale for our afternoon performances. As winner of the inaugural "Trophée Stan Hugill", French fans dub Tom "The Springsteen of Sea Chanteys". Old Songs Festival (Altamont NY) declares "This man knows the sea ... from the bottom up!". Living Tradition says "Although I always knew he was good, I was not quite prepared for HOW good." 24 years in the British Royal Navy, "provides him with that vitally authentic stance with which to tackle nautical song". Second up in our second afternoon concert will be two delightful local musicians, the Russell Sisters. Julie has a great singing voice which is showcased to full effect by Alisa’s exquisite playing of the harp. Starting off the second afternoon concert will be Paul Wisdom. Wiz always delights with his carefully selected repertoire of traditional English folk song, expertly accompanied on his own hand-made Hayden system duet concertina. Wiz also happens to be the proud father of Megan who will be providing support for our evening concert later. Metaphorically speaking, it took several years before the Morris eventually got 'round to tapping Paul Wisdom on the shoulder. A new side was being formed in the adjacent village. It mattered not to its optimistic organisers that Paul had purchased his concertina only that same month, did not know one end of a morris tune from the other and could hardly string three notes together. He was the one with the squeeze-box and that was that. Roll on some eleven years and Wiz, as he is known to his morris pals, finds himself in several morris sides and still has his sqeeze-box. Wiz maintains that he did not chose his concertina. Rather, it chose him. Fed up with languishing on the shelves of Hobgoblin music, this unfashionable box had clearly decided that enough was enough and that the next unsuspecting sould to come through the door would be its owner, come-what-may. Slightly quieter than most concertinas, Wiz found it rather amenable to vocal accompaniment, as was demonstrated at Shannonside Winter Music Festival, Co. Clare earlier this year. The headline act for our first afternoon concert this year wil be Bernard and Jill Blackwell. 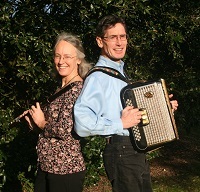 Jill and Bernard have been performing folk songs and dance music together for over 30 years. They have been booked at many of the major festivals, have given numerous radio broadcasts and made three recordings with the Fellside label. Their distinctive harmony singing is accompanied on Northumbrian pipes, flute, guitar, button accordion and concertina. Jill is also an accomplished step dancer, and demonstrates various forms of percussive dance from around the British Isles. Jill and Bernard have a wide ranging repertoire, from traditional ballads and tunes, to sacred harp and 1930s swing, all arranged and delivered in their own unique style. Their latest CD - Along the Leafy Lane - was released in 2016 and has received many favourable reviews. Third up in our first concert of the afternoon we have Andy Parr. Andy is an accomplished singer and dancer and a graduate of the Newcastle folk degree course. He is a masterful player of the English Concertina. Our very own supergroup: AJAR will be on second in our first afternoon concert today. Ally, Juliet and Rick are all are regulars at the club and they have been performing together for several years now. Ally has a beautiful singing voice as well as playing whistles and guitar. Juliet accompanies on concertina, guitar, flute and vocal harmonies, whilst Rick provides backing on guitar. Steve is an unaccompanied singer with a strong and clear voice. We first met Steve at the Grand Union Folk Club and are extremely pleased to be able to present him at The Poppy Folk Day. Discouraged from singing by a single comment at primary school in the Valleys of South Wales, Steve spent years hiding a natural talent - only occasionally sharing it with others publicly. He has overcome years of nerves through the encouragement of the Grand Union Folk Club, amongst others, and is now ready to share his voice with you.With a catalogue of songs ranging from classic folk tunes to more contemporary sounds, via the odd music hall number, you’ll all find something to enjoy.